Yes. 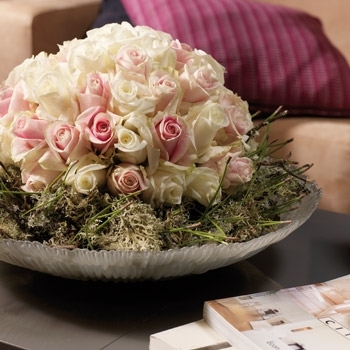 The minimum order quantity is 120 roses, regardless of type or length. To cancel an order, please send us a short email within a maximum of one hour after placing the order. To cancel orders that need to be delivered the next day, you are requested to contact us by phone within a maximum of one hour after placing the order: +31713612648. What happens when the flowers arrive late or damaged? Despite our best efforts, there is always the possibility that something might go wrong. Please inform us immediately if the flowers do not arrive or arrive late or damaged despite the proper delivery address. We will investigate the matter. In the event of a legitimate complaint, we will reimburse the full purchase price. For more information, please read our General Terms of Delivery. In addition to the price listed in the online shop, will I incur any other costs? No. Prices listed are all inclusive. You will not be charged any additional costs. How secure is data transmission? Your address and bank details as well as all other confidential information will be encrypted according to the SSL protocol. Can I arrange an exact time for my order to be delivered? Unfortunately, we cannot determine the exact time of delivery. Your order is express shipped and will usually be delivered by 12:00 p.m. at the latest. Do I have to pay additional shipping costs? No. The unit prices listed in our online shop are free domicile, thus including delivery charges.